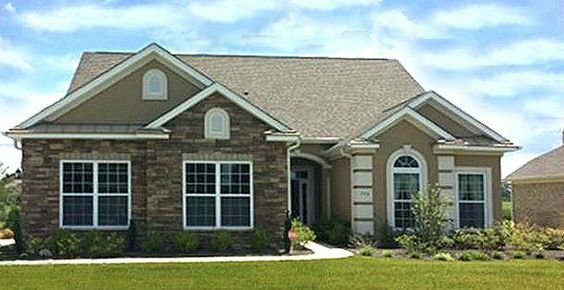 Located on the border of Conway and Myrtle Beach, Sanctuary At Wild Wing is a small, single family community. Sanctuary at Wild Wing offers breathtaking views and spacious living areas. Conveniently located near shopping, world class medical offices, hospitals, restaurants, schools, and only 10 miles to Myrtle Beach. Read more about Sanctuary At Wild Wing real estate. Sanctuary At Wild Wing prices range in the mid $200,000s to $350,000's. These homes have beautiful wood floors, granite countertops, stainless steel appliances and vaulted cathedral ceilings, Carolina rooms and open floor plans. Sanctuary At Wild Wing has a calculated, monthly HOA fee. There is a beautiful community pool, clubhouse and tennis court. Children of the Sanctuary At Wild Wing community will attend Carolina Forest Elementary, Ocean Bay Middle School or Carolina Forest High School. Conway offers restaurants, as well as a community theater downtown in the historic section or take a stroll down the River Walk. For more information on Sanctuary At Wild Wing homes or other Conway real estate call Century 21 Harrelson Group at 888-648-9689.